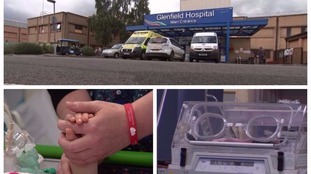 NHS England has decided to save Glenfield Children's Heart Unit in Leicester during a board meeting in London. It will remain open on the basis that they make the improvements they've promised to make, to grow between now at 2021 and to move Children's Heart Services over to the Leicester Royal Infirmary Site where all other specialist children's services are. A nationwide review into how youngsters with heart defects are to be treated, prompted NHS England to announce the closure in June 2016. It said surgeons were not doing enough operations to meet safety standards. It met heavy opposition which saw campaigners fight the closure that would have seen children travel 50 miles to Birmingham Children’s Hospital for life saving treatment. We are delighted to share the news that today, NHS England (NHSE) announced the threat to decommission heart services at the East Midlands Congenital Heart Centre (EMCHC) has been lifted, meaning the centre will continue to provide lifesaving surgery for children and adults in the region. If the unit closed the hospital would have lost a lot of equipment and many surgeons and other clinical staff would have had to have left.